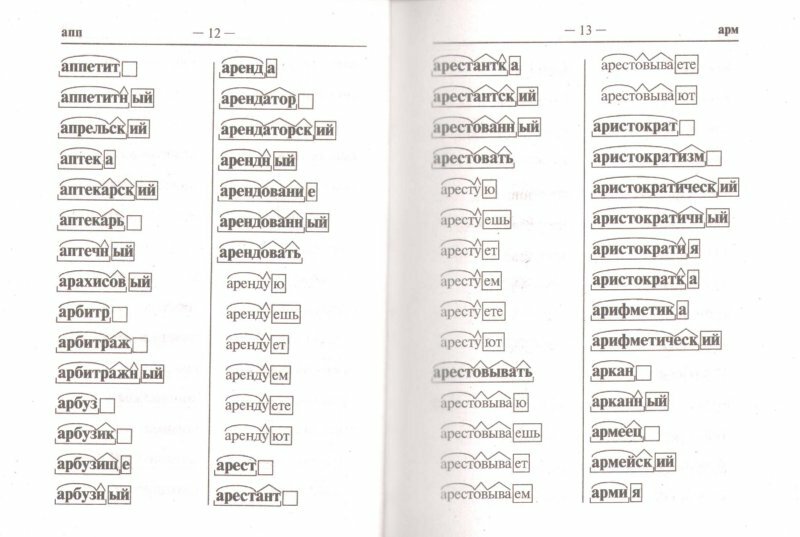 In morphemic analysis, one used a repertoire of shapes to mark different types of morphemes within a word: a box for the flexion, a tie for the root, wedges for derivational suffixes, corner brackets for prefixes. syntactic analysis not above the level of clauses (literally, ‘dissection of sentences into members’). In syntactic analysis, there were several styles of lines with which to underline single words and PPs (and sometimes shorter coordinate phrases) within a sentence: single line for the clause subject, double line for the predicate, dashed for both direct and indirect objects, dashed-dotted for adverbial modifiers, and wavy for adnominal modifiers. This method deals nicely with most common clausal constructions (direct actives, impersonals and copulae) and simple NPs, but it has a major drawback in that it is essentially flat and so fails to capture the nesting in linguistic structures. I vaguely remember drawing some arrows (was it for subordinate clauses? not sure here); but when I once asked my teacher whether participial phrases should be marked as adnominal modifiers, or as clauses with internal structure, or, perhaps, both, she was all but dumbfounded. So this is not regular dependency grammar. If I am not mistaken, the method goes back to early twentieth-century linguists like Fortunatov or Peškovskij, and it has not significantly changed since that pre-Tesnièrian epoch. Indeed, that kind of analysis is done on a day-to-day basis in the classroom, but it’s not entirely typical of exams. Those techniques of dissecting words and sentences were supposed to help us learn the rules, they were not necessary in and of themselves. The tables bring back many memories! Haha. I remember our textbook having whole chapters dedicated to the suffix “ova” or the prefix “pre/pri”, for instance. What the person writing the article [above] forgot to mention, however, is that there were ways of marking more complicated structures – we were taught to put vertical lines around clauses containing independent structures, and in some difficult cases there were crosses drawn above noun-verb pairs, as well as the arrows mentioned. I have had a look at your blog and the Russian section [i.e. the entries above]. How very interesting. It took me back to my Russian schooling! I’m sure (or I’d like to hope) that it’s moved on from simple clausal dissections into more intricate parsing since then. 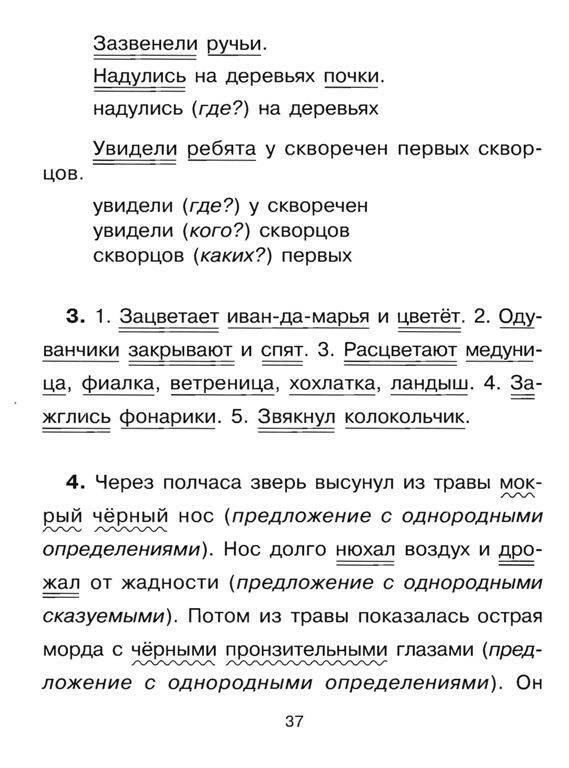 [Later, after some research] I found this plan of a dissection of a simple Russian sentence, used in Russian secondary schooling. I thought you might find it interesting. I have translated the plan of the dissection that school pupils normally use to parse sentences. They start doing these exercises at the age of 10-11 increasing the difficulty sentences as they mature and learn more about syntax. Find a grammatical core of the sentence, appropriately underline it, and define the word classes that are used in it. Specify if it is a simple or compound sentence. Determine if the sentence contains secondary parts (expanded or unexpanded sentence). Appropriately underline the secondary parts of the sentence, define what word classes they are: those belonging to the subject and predicate. Define if any parts of the sentence are ellipted (if the sentence is complete or incomplete). Define if the sentence is complicated by an additional construction/clause (complicated vs. uncomplicated, and by what construction). Describe the characteristics of the sentence. declarative; non-exclamatory; simple; two-member sentence; expanded; complete; complicated by homogenous parts of the sentence (2 predicatives) and a stranded modifier (participial clause). More examples are available on this page. They are in Russian, but the diagrams (look further down the page) are quite simple, so may be understandable untranslated for illustration purposes.